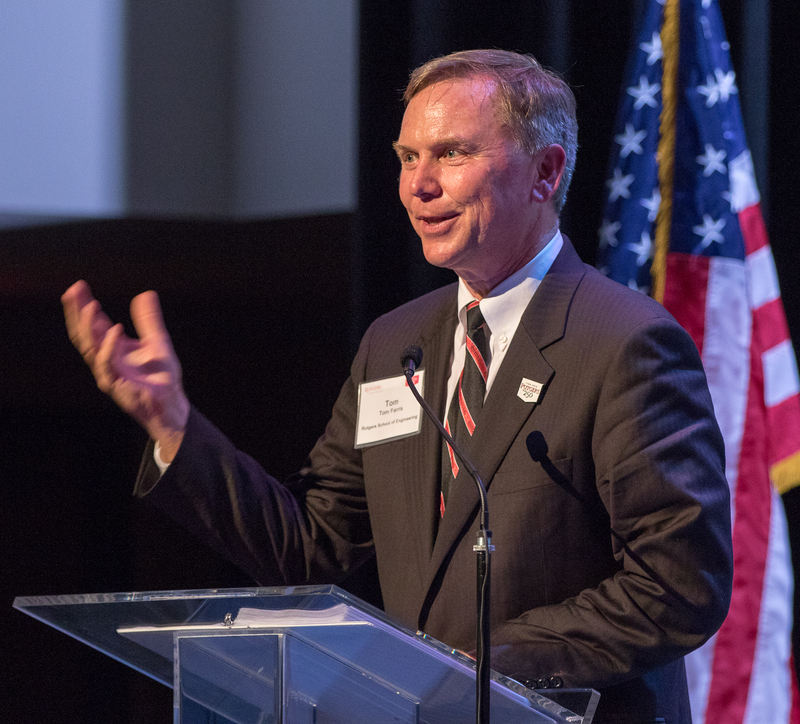 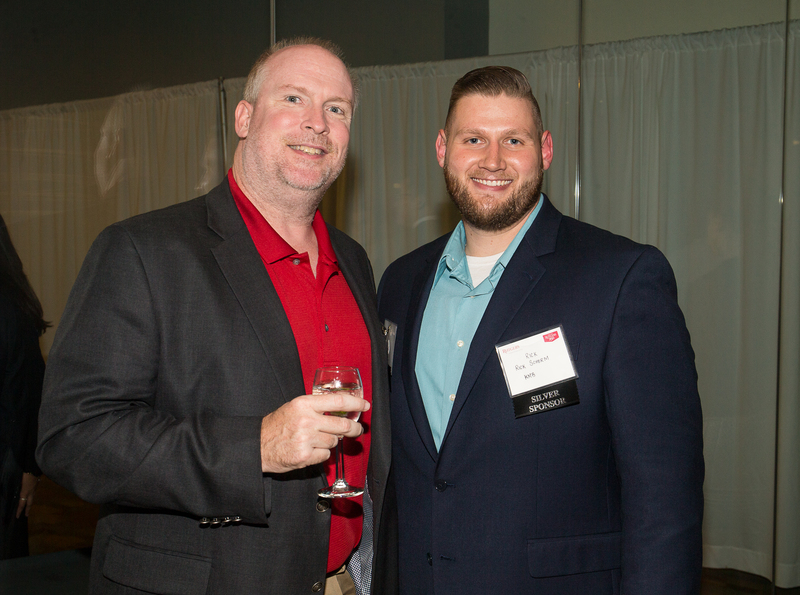 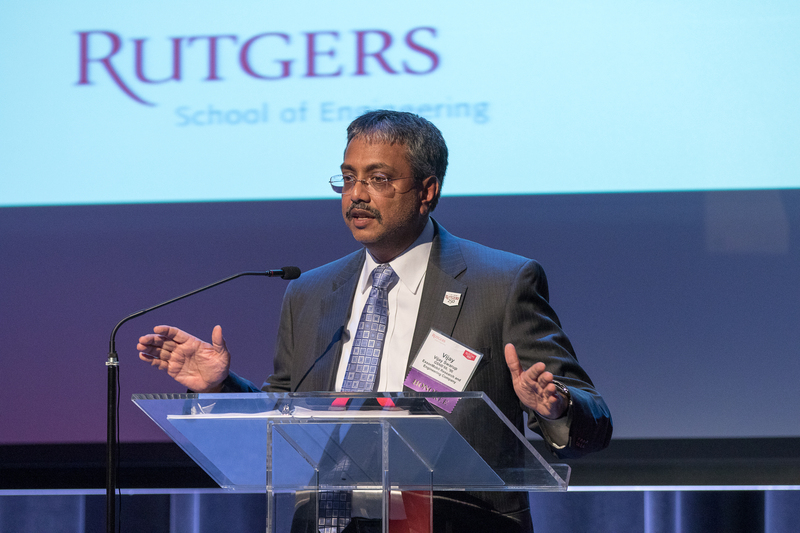 Rutgers University–New Brunswick’s School of Engineering honored six distinguished graduates of the school at a gala event on Thursday, October 13, recognizing alumni achievement in surgical technology, infrastructure innovation, space exploration, education, and the petroleum industry. 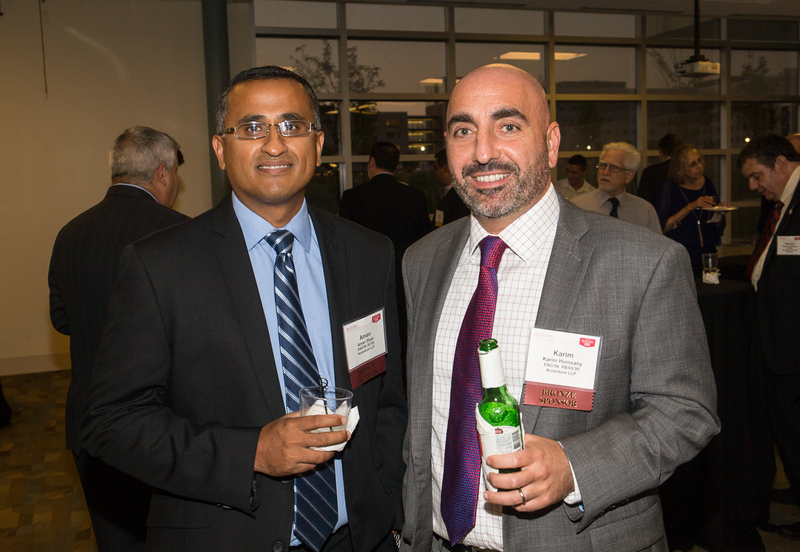 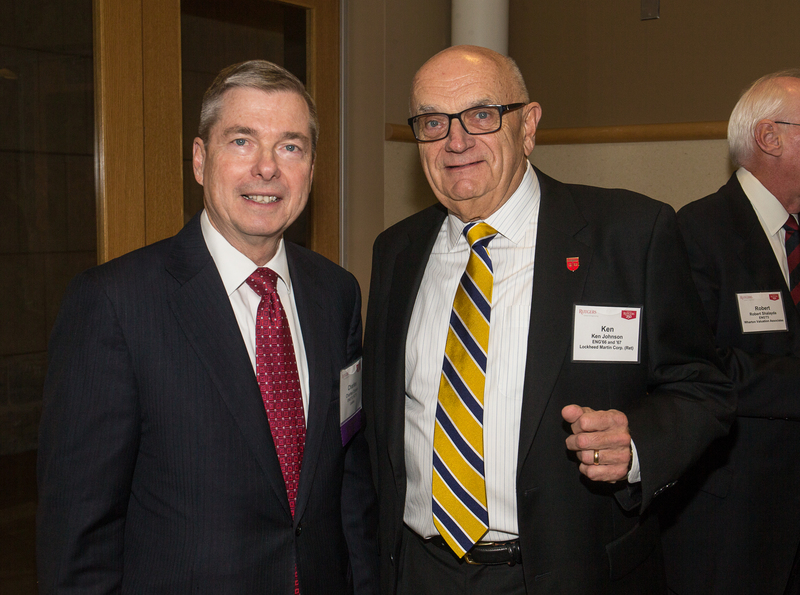 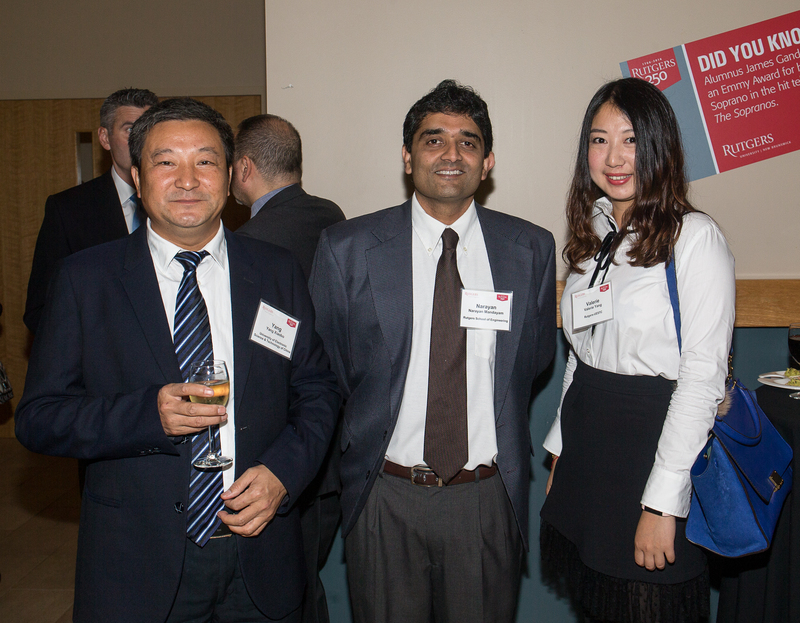 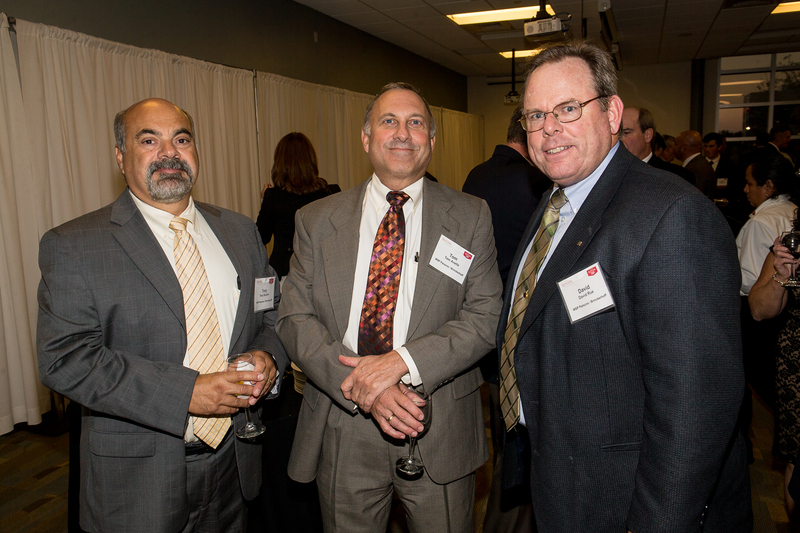 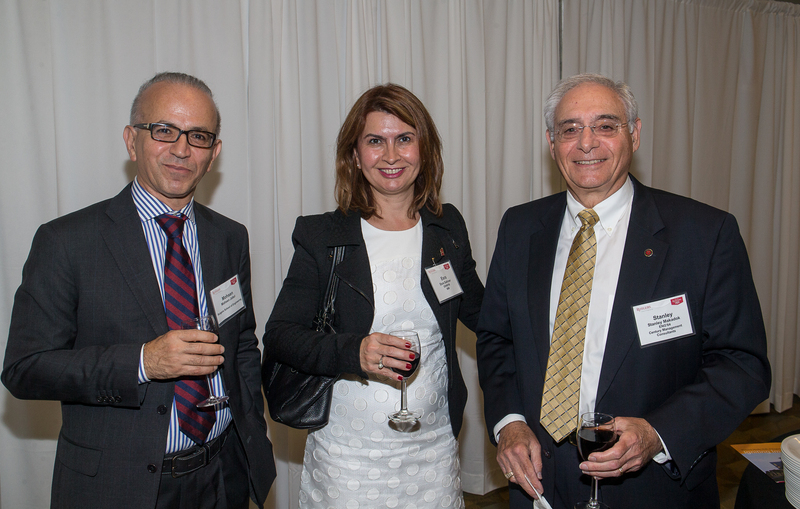 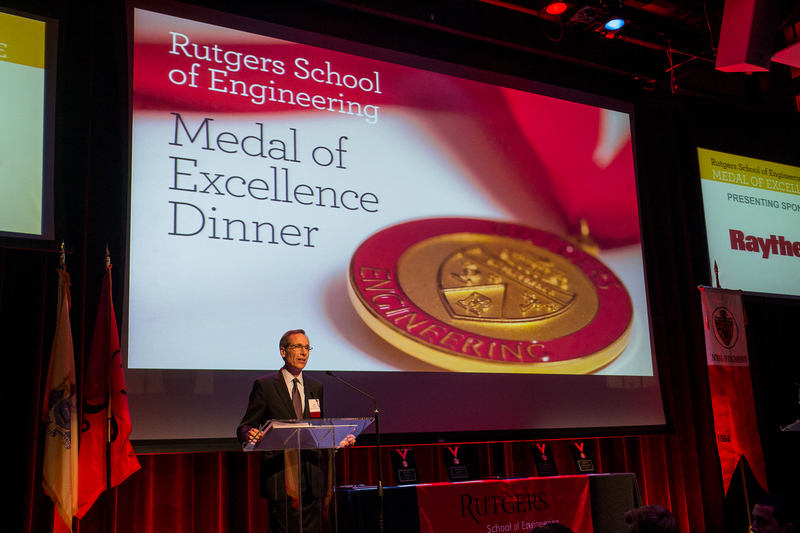 More than 250 alumni, industry partners, faculty, and students attended the 2016 Medal of Excellence and Distinguished Alumni event which celebrated the accomplishments of Dorin I. Comaniciu, Andrew J. Foden, John McAllen, Marvin O. Schlanger, Jackelynne Silva-Martinez, and Vijay Swarup. 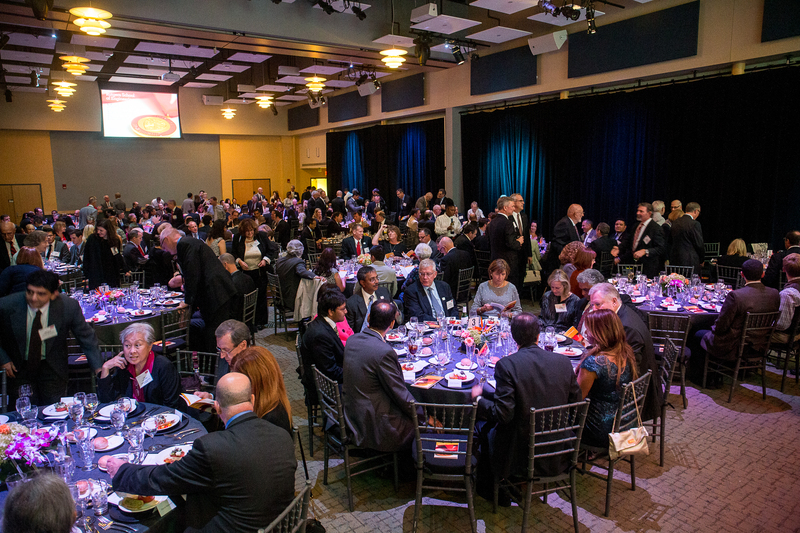 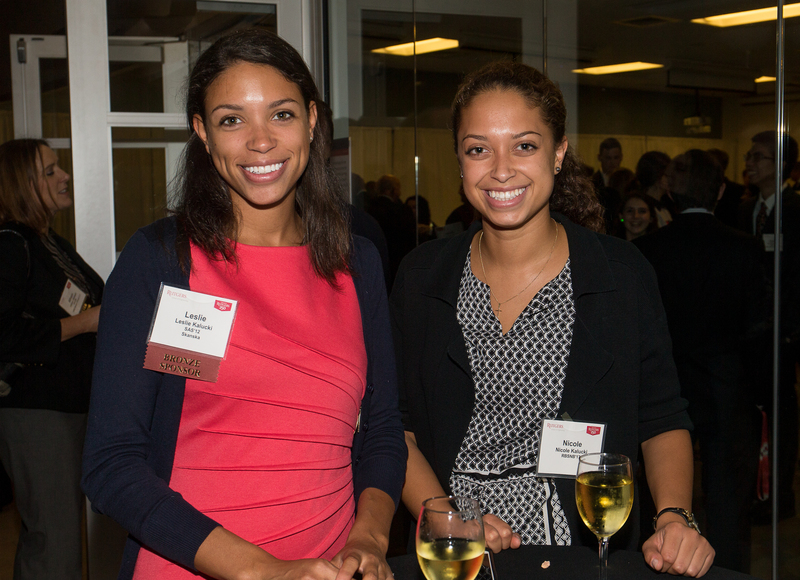 This year’s event, which supports engineering scholarships, generated more than $190,000 through sponsorships and ticket sales. 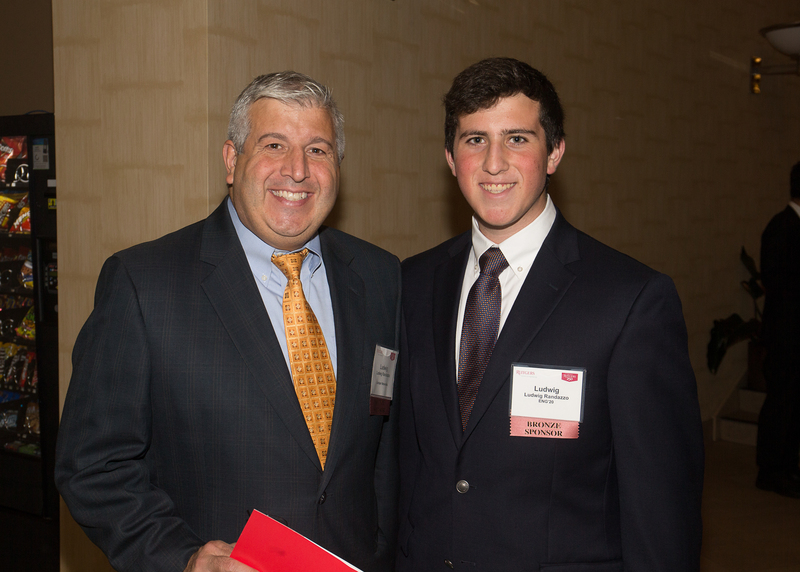 Farris also thanked presenting sponsor Raytheon Company, along with platinum sponsors AECOM, Apollo Global Management, PSEG, UGI Corporation, and Weeks Marine, along with gold sponsors BlackRock, Inc., Constellation Energy, and Janssen Pharmaceutical Companies of Johnson & Johnson for supporting the school's students. 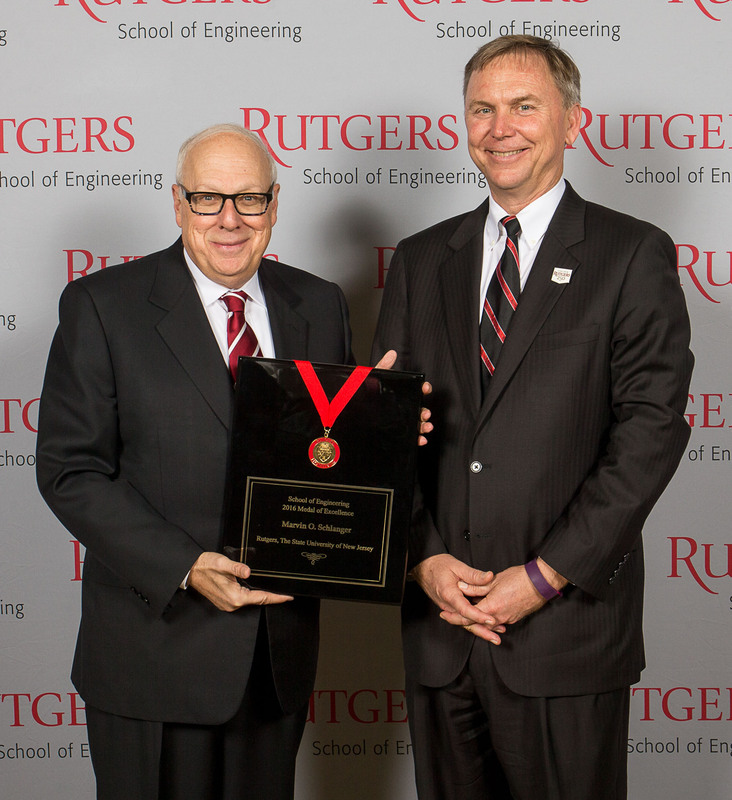 Dorin I. Comaniciu, Ph.D., vice president of medical imaging technologies at Siemens Healthcare, was presented the Distinguished Alumnus in Research award by Rutgers electrical and computer engineering professor Peter Meer. 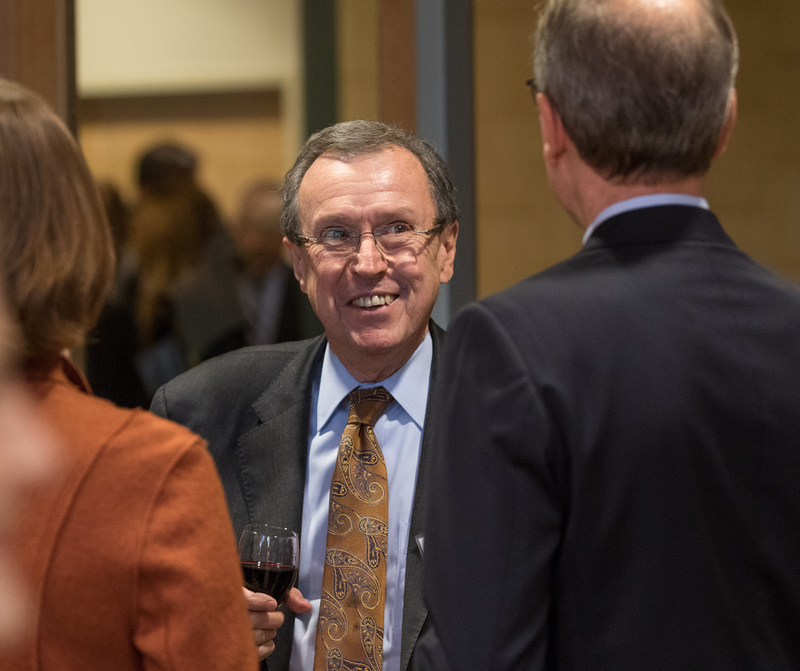 In recognizing his contributions to computer vision, pattern recognition, machine learning, and medical imagining, he noted, “Under Dorin’s direction, the medical breakthroughs from Siemens for the last two years, were among the 100 top technology products from the industry.” Comaniciu holds a doctoral degree from the School of Engineering in electrical and computer engineering. 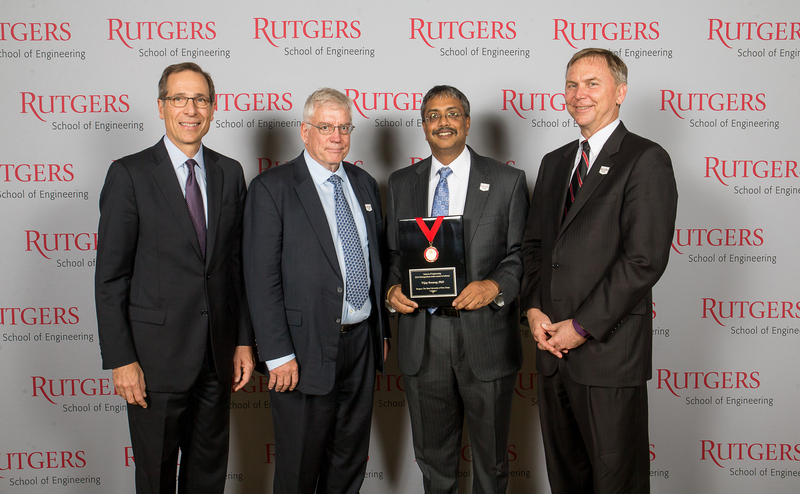 Vijay Swarup, Ph.D., vice president for research and development for ExxonMobil Research and Engineering Company, was honored as the Distinguished Alumnus in Industry recognized for his achievements in creating more efficient or cleaner fuels and other innovative technologies. 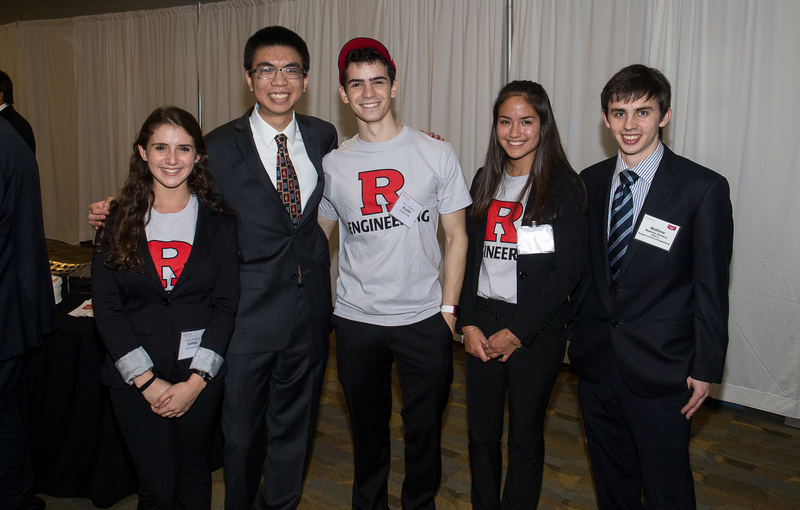 Part of his research includes the use of algae to produce biofuels, rather than the more traditional ethanol fuels. 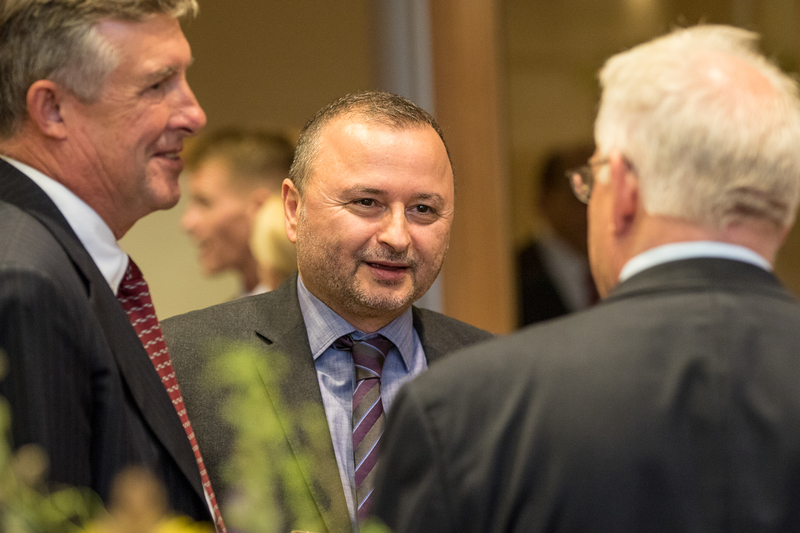 He is currently working with Lockheed Martin to form a partnership between the two companies' development wings to facilitate the production of new technologies used in industry. 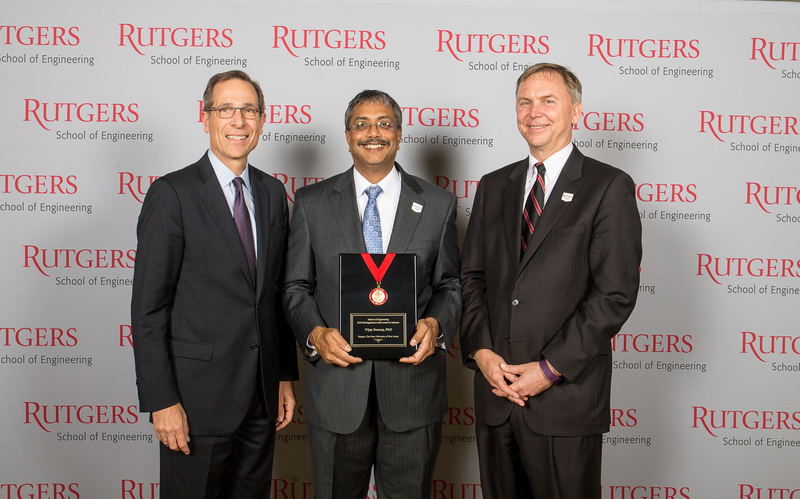 Swarup earned masters and doctoral degrees in chemical engineering from the School of Engineering. 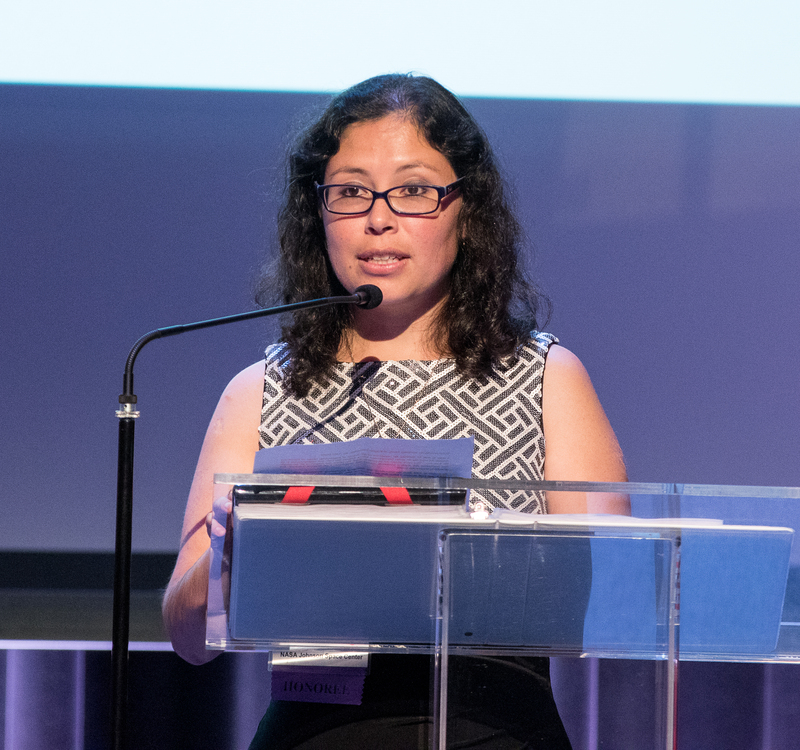 Jacky Silva-Martinez, recipient of the Young Alumnus award, is a former Lockheed Martin Space Systems Company engineer currently working for the National Aeronautics and Space Administration's Johnson Space Center. 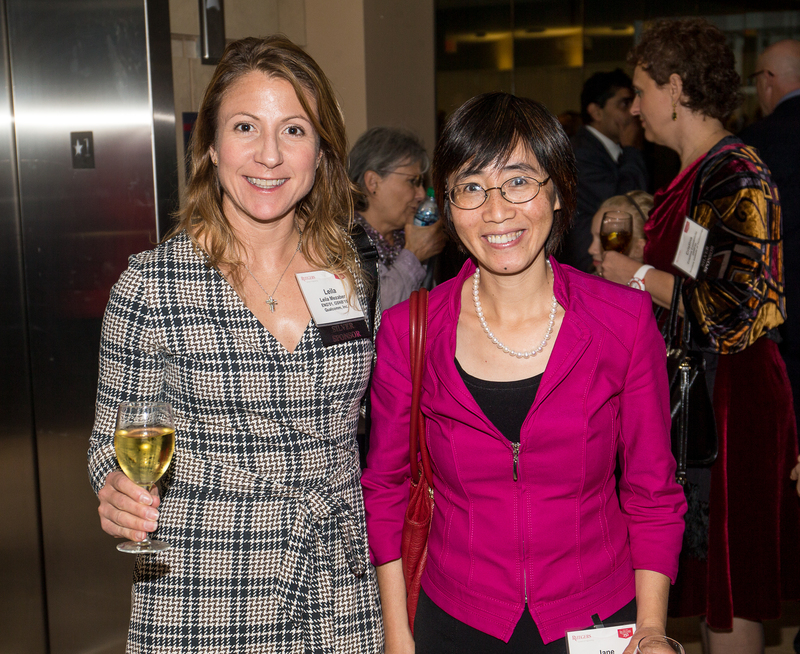 She spent a year working as a mechanical engineer with the Jet Propulsion Laboratory, where she operated parts of the Curiosity Rover. 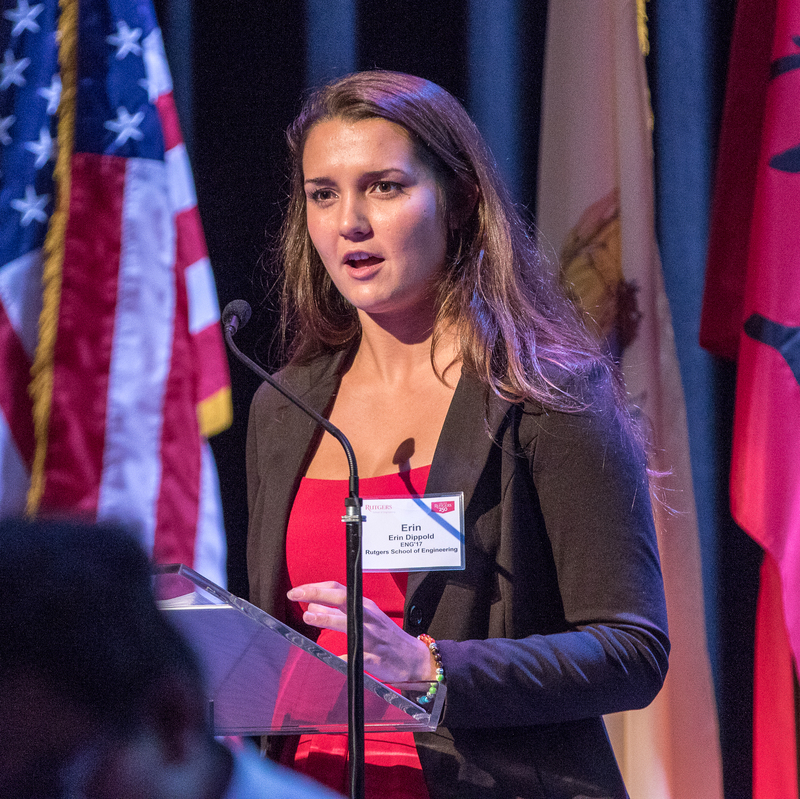 She later participated in two "Mission to Mars" field tests where she worked in a simulated environment to help researchers better understand how to make an actual trip to Mars easier for the astronauts. 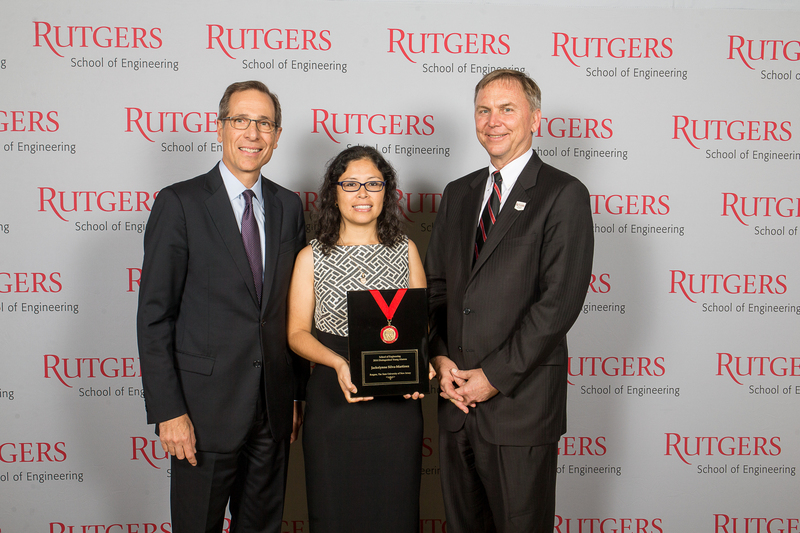 She holds a bachelor’s degree in mechanical engineering from Rutgers School of Engineering. 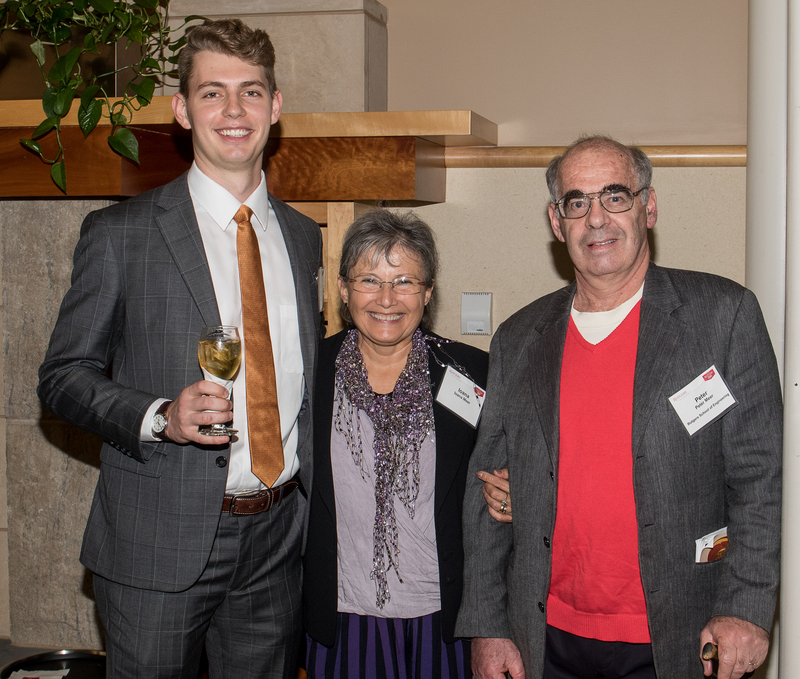 John McAllen was the recipient of the Dean’s Award for Service in recognition of his contributions as a math teacher at Point Pleasant Borough High School. 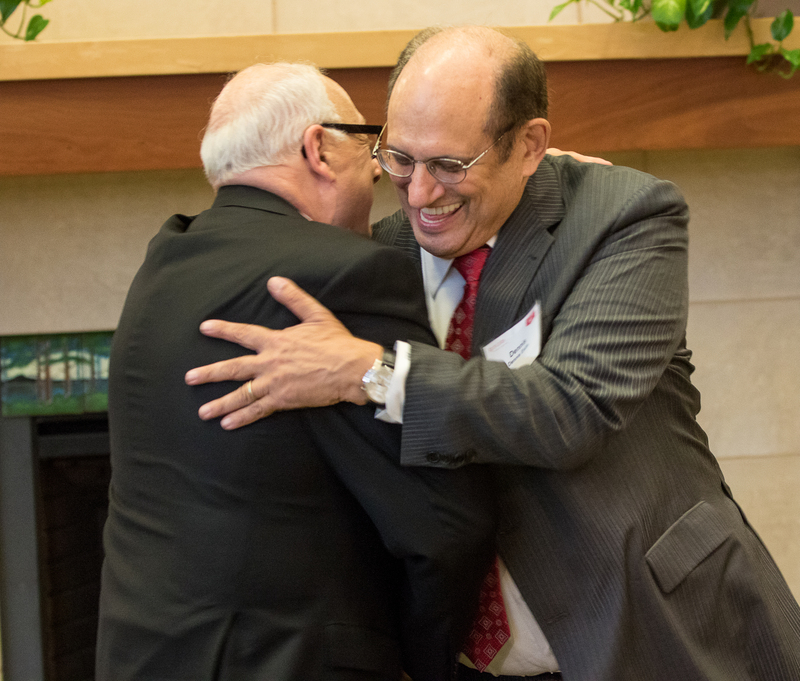 A former researcher with Johnson & Johnson, where he developed and patented five different surgical technologies, McAllen found a more fulfilling career path in the classroom where he teaches Advanced Placement calculus, among other duties. 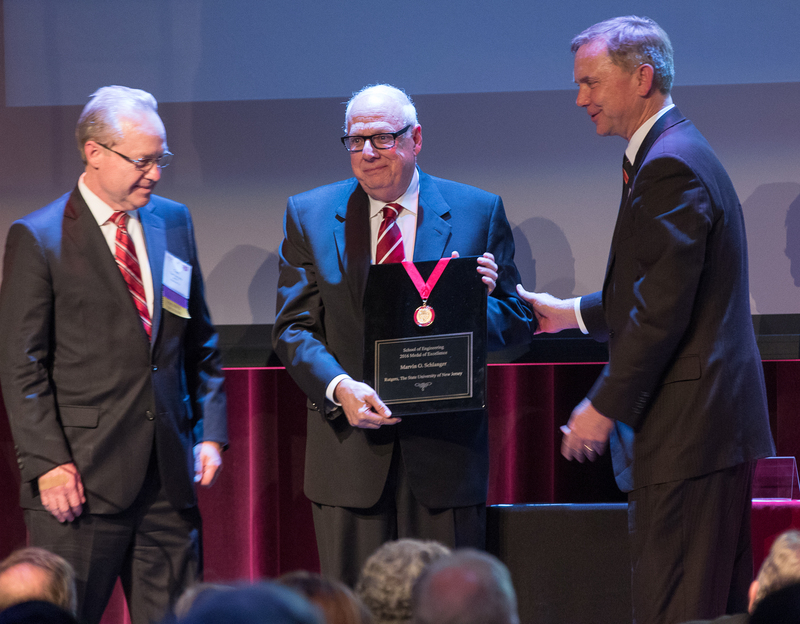 In 2012, he was honored at the White House where he received the Presidential Award for Excellence in Mathematics and Science Teaching. 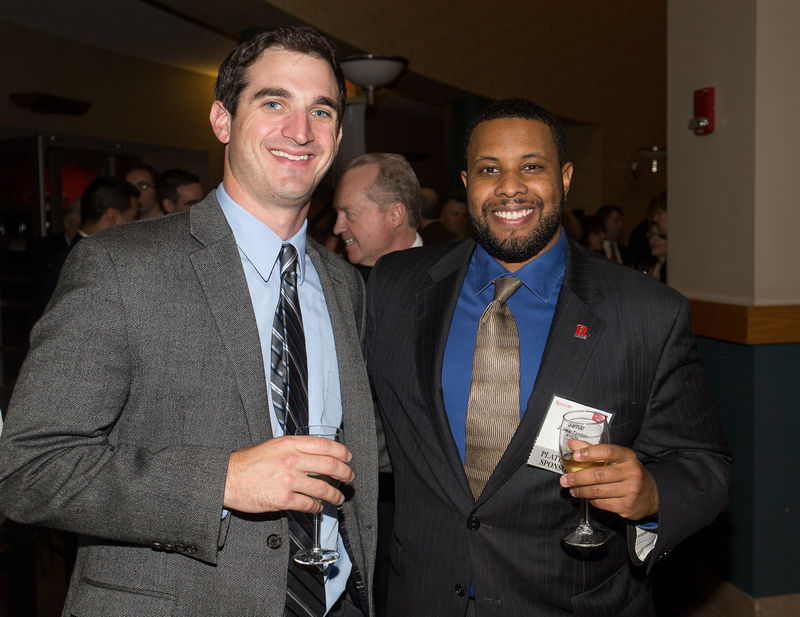 He holds bachelors and master’s degrees from the School of Engineering in mechanical engineering. 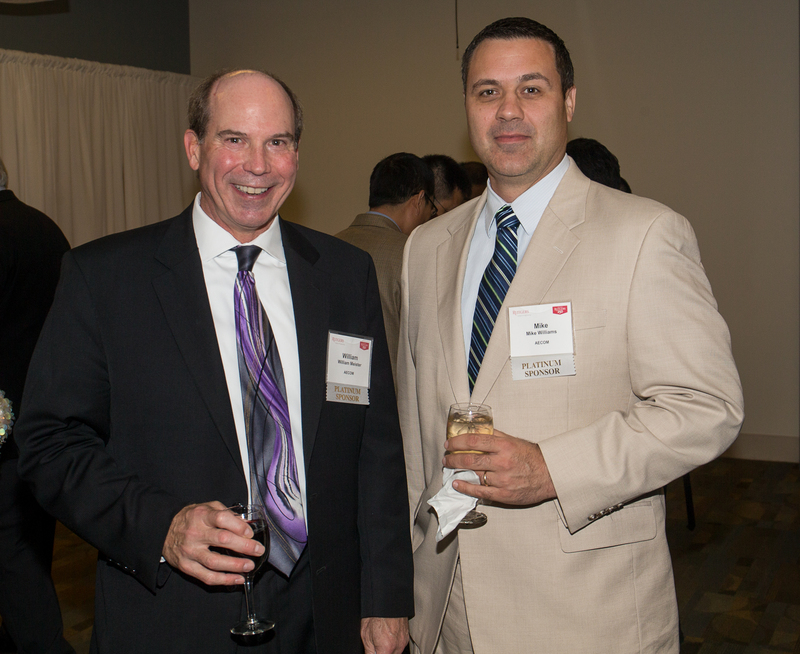 Andrew J. Foden, Ph.D., senior bridge evaluation and technology manager for WSP Parsons Brinckerhoff, has made significant contributions in the areas of bridge technology, high performance materials, and advanced bridge assessment and management systems. 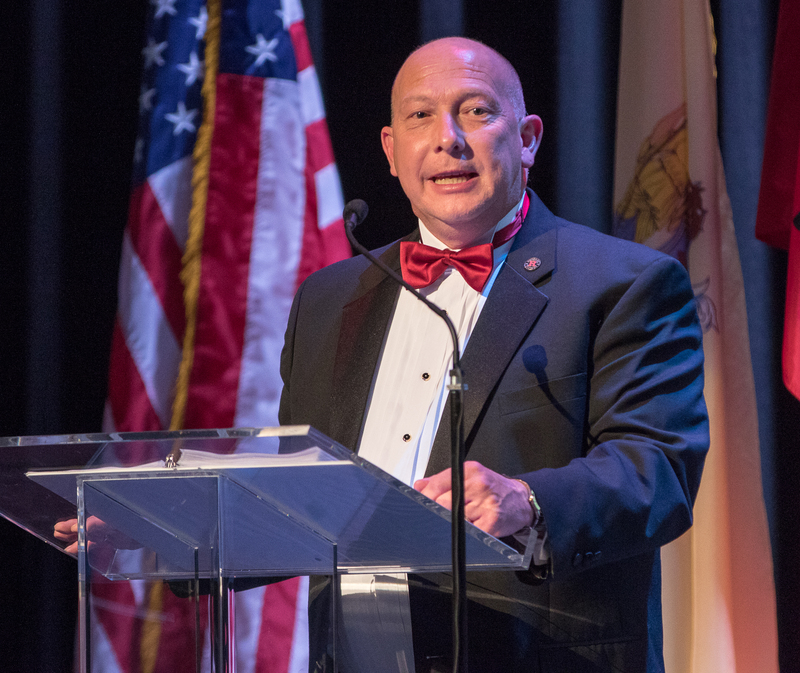 He most recently oversaw the design of the structural rehabilitation and seismic retrofit for the Pulaski Skyway, including detailed visual inspection, structural analysis, load rating, seismic evaluation and retrofit design, and superstructure and substructure rehabilitation. 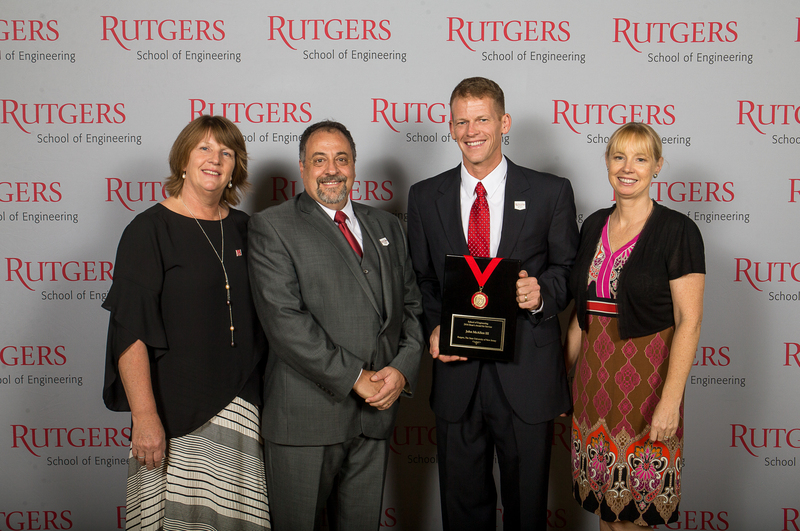 Foden, who holds undergraduate and doctoral degrees in civil engineering from the School of Engineering, was awarded the Rutgers Engineering Society’s Distinguished Engineer Award.